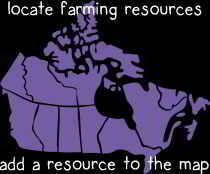 Are you a farmer in the Capital Region who is currently selling mostly through direct marketing (e.g. 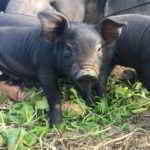 farmers markets and CSA)? Ready to scale up your business? 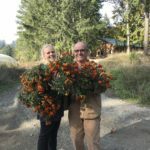 Join the CRD’s planning process to establish supply chains for small scale producers on southern Vancouver Island! 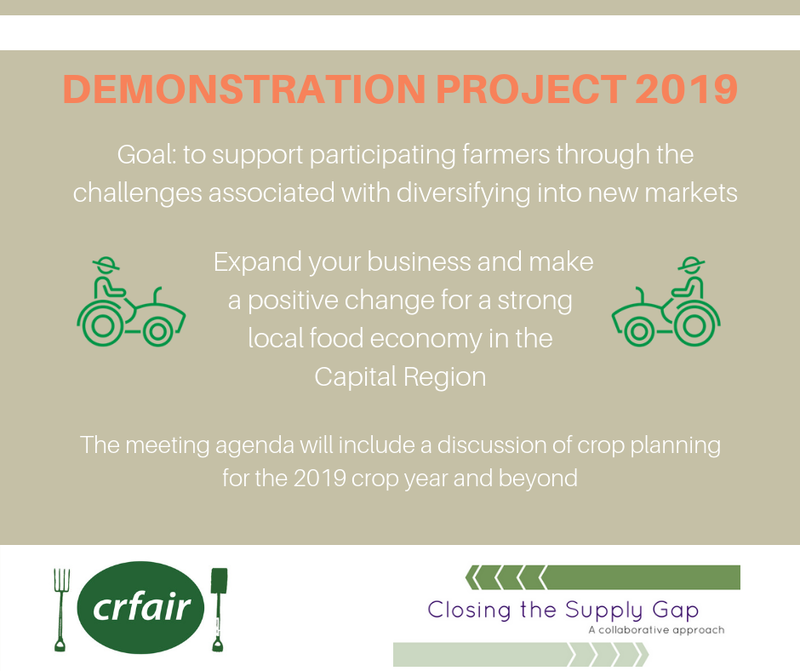 CRFAIR is organizing a Demonstration Project and is inviting you to a meeting to share information about how you can be involved. 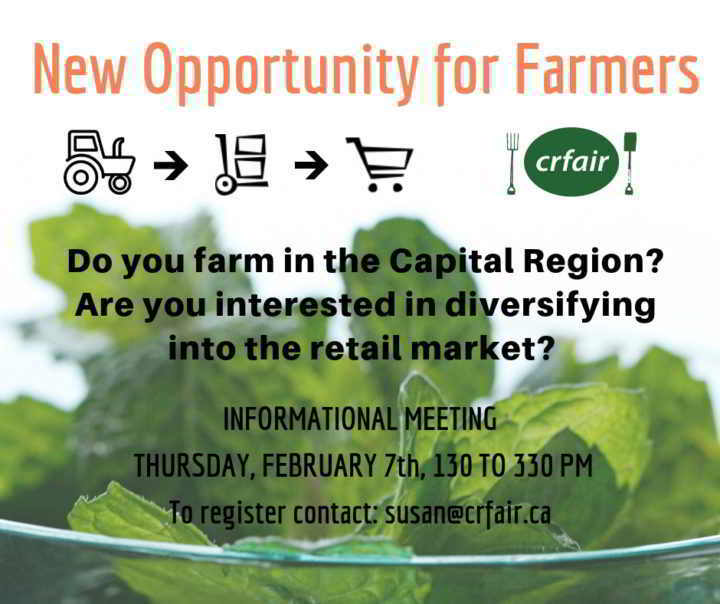 It’s an opportunity to expand your business and make a positive change for a strong local food economy in the Capital Region. The Demonstration Project will support participating farmers through the challenges associated with diversifying into new markets. The Demonstration Project is part of a region-wide initiative called Closing the Supply Gap. It is aimed at building a stronger local food system which includes increasing the amount of local produce available in grocery stores in the Capital Region. At focus groups with farmers they’ve heard that growing for diverse and larger markets must be based on respectful relationships and trust. And there needs to be shared infrastructure for aggregation and distribution as well as support for Good Agricultural Practices (GAP) certification, and business planning that will address and mitigate risks. 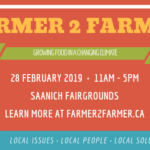 The Local Development Manager from Thrifty Foods will be at the meeting to share information about Thrifty Foods’ commitment to working with farmers in the Capital Region and their interest in crop varieties and extending seasons. The meeting agenda will include a discussion of crop planning for the 2019 crop year and beyond. You will hear about an opportunity for grow to order contracts in 2019—2020 for the retail market. For those interested in participating in the initiative the meeting will include a detailed discussion of next steps and the resources and supports that are being put in place. Closing the Supply Gap is organized by a leaders group of people from across all local food sectors in the Capital Region. It is supported by the Capital Region Food and Agriculture Roundtable Society (CRFAIR) and doctoral research at Royal Roads University. Please register if you want to learn more.